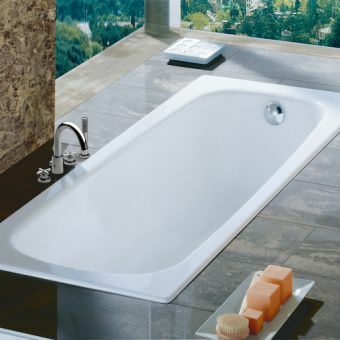 Delivering a blend of sophisticated design and premium performance, the Roca Swing Steel Bath is anything but mediocre. 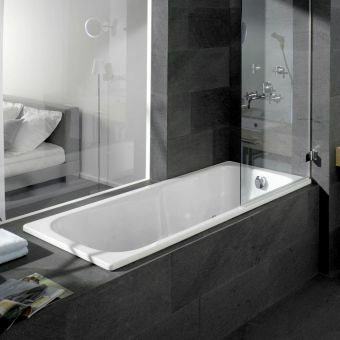 Using only the highest quality steel fabricated with elegant sculpted lines and refined contours, it has a seamless finish which will transform your bathroom. 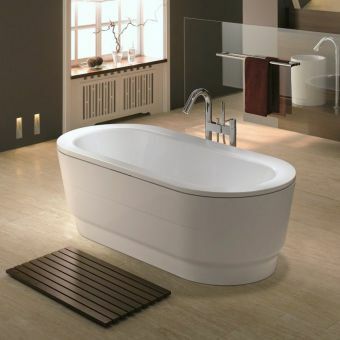 Delivered in two large bath sizes of 1700 x 750mm and 1800 x 800mm, it is presented in the traditional form with a single head end and a foot end which can also double up as the showering end. 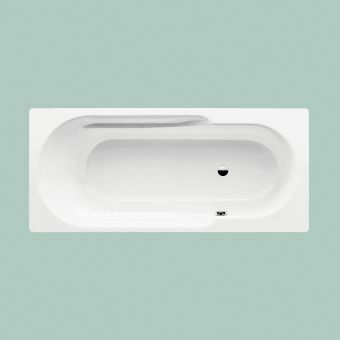 The base is safety conscious utilising the latest in anti-slip surface technology making it suitable for those who are less-abled and children. 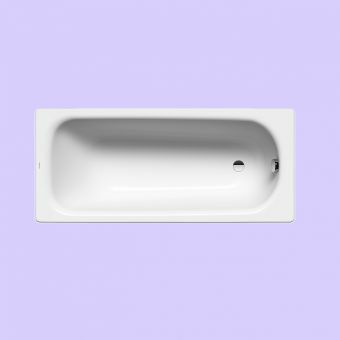 Supplied without tap holes, it is designed to be used with an overflow bath filler or a wall mounted mixer to help maintain its clean lines. 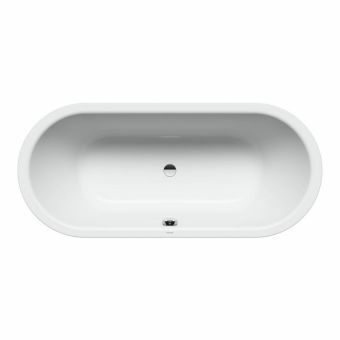 A sculpted headrest is included and should you need extra help getting in and out of the bath, a pair of holes are pre-drilled into the bath ready to be fitted with their dedicated chrome grips. 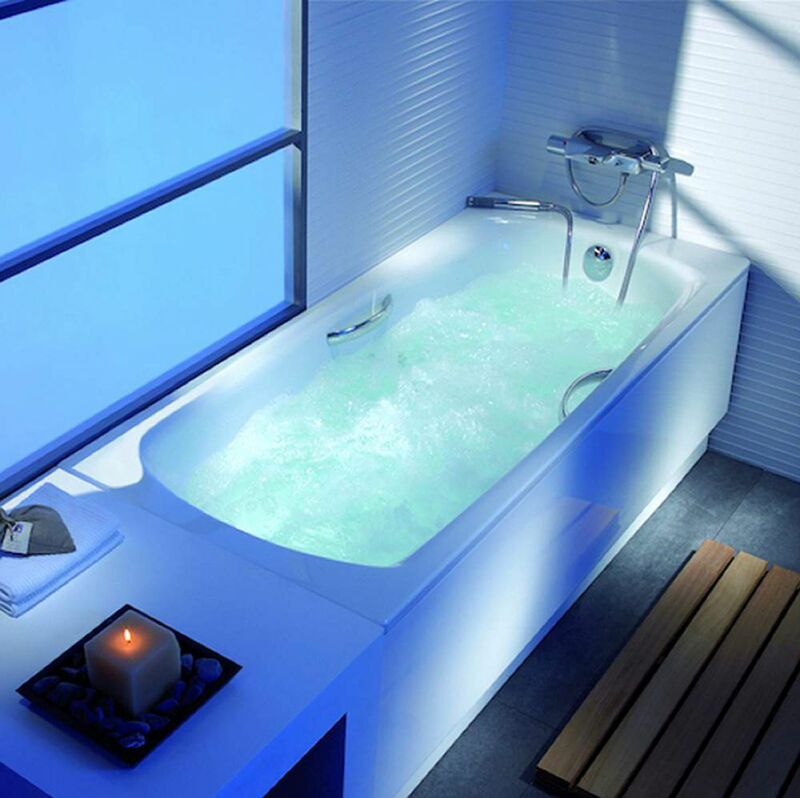 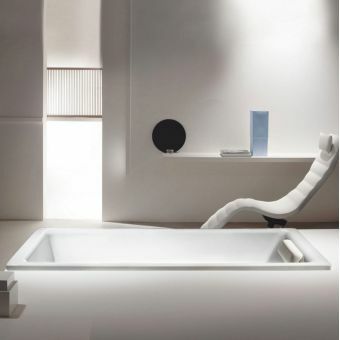 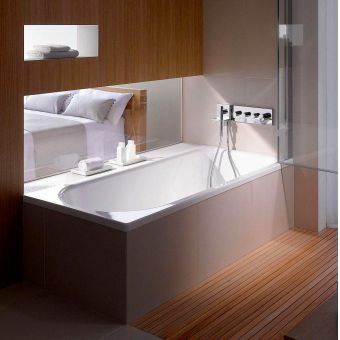 The Swing bath will not only perform but also hit the mark on style.